When you are tired at work or at home, you want some relaxation. Nothing beats playing the Amazing Diamond Shift Blitz! Its nice graphics, addictive game play and ever changing patterns will make you feel refreshing and happy! By the way it is FREE to play so what are you waiting for? 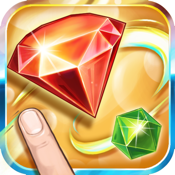 Join us and play one of the world's most addictive game ever created - Amazing Diamond Shift Blitz.